Room 5's Alive (Take Two! ): Any Questions? 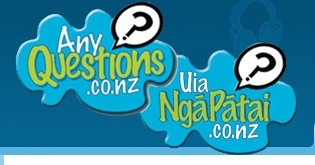 Today during library time we learned how to use the National Library website called Any Questions? To help us navigate the web while researching. It is open between 1-6pm on week days. We asked Any Questions about the Berlin Wall, as it is featuring in our production scene. We still have to sift and sort through the information ourselves though, Any Questions does not just give you the answer! Did you know that on some Wikipedia pages there is an option in the languages for 'Simple English' if the text is too hard to read? Great advice! Thanks Any Questions!